Samantha Vinograd Bio: What Is Her Background & Who The Husband? Home » Media » Samantha Vinograd Bio: What Is Her Background & Who The Husband? When one makes the best out of their professional life, people automatically wonder about the person supporting their success from the shadow. The same happened with American foreign policy commentator Samantha Vinograd as she had her career in shining lights, and wasn't willing to bring her mystery husband to the show. 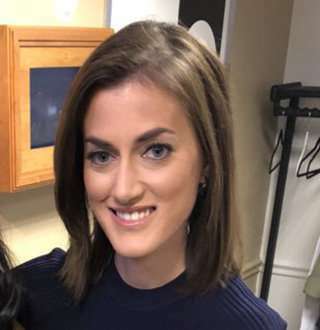 Samantha Vinograd is known chiefly for her role of National Security Analyst at CNN. She’s also a known columnist with her writings gaining column inches in esteemed publications such as New York Times, Newsweek, Washington Post, Daily Beast, Politico, USA Today, and Marie Claire. As a philanthropist, Samantha is often engaged in social impact works while serving as an advisor to the US Fund for UNICEF. Born on 19 February 1983, Samantha Vinograd comes from a Jewish background whose father, Serge G. Vinograd is a Holocaust survivor. She was raised in Connecticut alongside her three siblings, Ariane, Cassandra, and Benjamin. Receiving her B.A. in Middle Eastern Studies and Asian from the University of Pennsylvania and her M.A. in Security Studies from Georgetown University, Samantha, aged 35, started her career working for the U.S. Department of the Treasury in Iraq. Her career background is a total shine as she served on former US President Barack Obama’s National Security Council in different roles like Director for International Economics, Director for Iraq and Senior Advisor to the National Security Advisor. It was in 2013 when Samantha joined Goldman Sachs where she managed private sector partnerships across a wide range of policy and business issues. As a woman whose résumé reads as it belongs to someone with a lifelong heightening career in foreign policy, bilinguist Sam is one of CNN’s expert voices on national security who can deliver the verdict in both Engish and French. Does Samantha Vinograd Have Husband Behind Success? First thing’s first, Samantha is a very career oriented woman. Second, why would you even want to know about her husband fully knowing that she has in fact never been involved in any romantic affair? The only time Samantha ever mentioned something ‘husband’ related was in a tweet when she jokingly hoped that her future husband wouldn’t get married to her for her cooking skills, which isn’t exactly pleasant. Are you looking at those poor fries? No offense, but we too hope that Samantha’s future husband won’t decide to check her cooking skills before getting married to her; nobody would want the groom to run away from the wedding at the last moment. You Don't Want To Miss: Rory John Gates Age 19 Bio: Job Seeker Despite Father’s Bulky Net Worth? Getting back to the topic, Samantha doesn’t seem to be a tad bit interested in finding her right partner, let alone hearing wedding bells with her non-existent husband any sooner. Well, all we can say is that whatever she decides to do, stay single or find love at an unexpected place and time, we’ll be cheering for her alongside her fans.